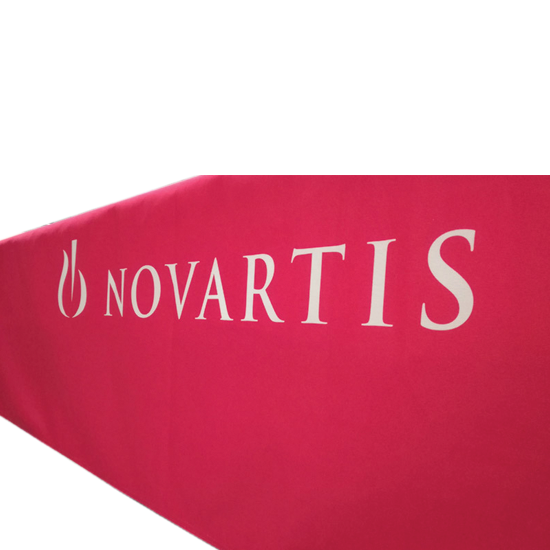 Tablecloths to customize to the colors of your company. If you like to experience the quality of being friendly and making people feel happy and welcome around you, it is almost certain that you will have to ask for the regular organization of different friendly get-togethers. For the simple fact of establishing a spirit of permanent family communion, meals occupy a central place in the actions to be taken. Around them, we strengthen the links, we develop new ones and we discover each other more and more. It is therefore important to make every effort to ensure the complete success of these meals, the first true condition is to ensure the desired usability. A number of parameters have to be taken into account. Before even talking about different dishes and gastronomic accompaniments, it is important to take care of the appearance of the table for a concise gathering, or all the tables for a bigger feast, a meeting, a lounge… From table settings to cutlery to tablecloths and much more, nothing should be left to chance. The tablecloth has an even greater interest, because its scale and its remarkable character allow the guests to give themselves an idea of ​​the pleasure that they are about to live. So, it must be as perfect as possible. So put in all the efforts to get there. We offer you the possibility of tablecloth customization. This certainly allows you to give a special touch to your meals, product presentations, events, trade shows, dinners and parties. Discover it here first! The tablecloth occupies a preponderant place in the communication of companies. For your events, your special dinners between colleagues, partners or between lovers, for your receptions, from the simplest to the most sumptuous (birthday, baptism, product promotion, product launch, wedding, etc. ), and for your gala dinners, the place of the tablecloth is central. It must reflect you, by conveying your personality, the entrepreneurial spirit, the colors of your logo, and everything that makes you special. It must also be given to the event that you organize and, at the same time, give pleasure upon entrance of your guests. To do this, it must be thought about and chosen carefully. One of the safest ways to give your tablecloth all the characters you need to make it perfect is personalization. It is a set of techniques that have the sole purpose of making your items unique to your image or the image you want. We offer you the possibility to customize your tablecloths. In addition to individuals, who can benefit from the enormous benefits of tablecloth customization, businesses and restaurants offering food services can also benefit greatly. They can use the tablecloth by personalizing it to improve not only the customer experience, but also the communication of their establishment. 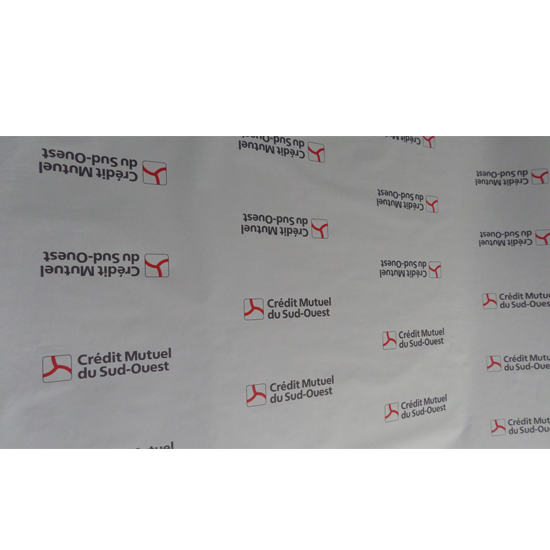 You can offer these tablecloths to your customers or use them in your facilities. This substantially increases your visibility to the public. It is an outstanding marketing tool that is absolutely necessary to obtain. 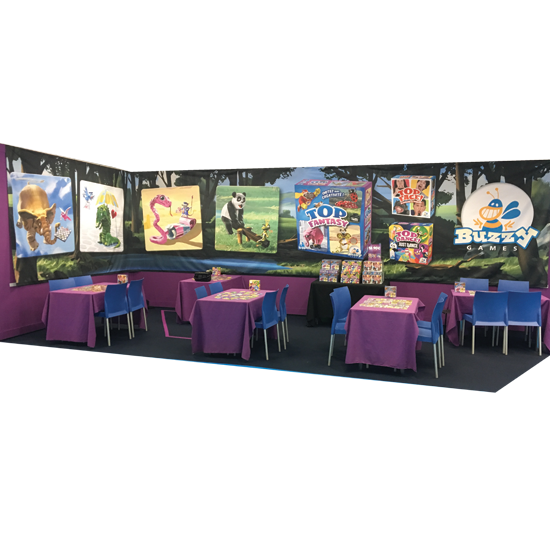 Whatever the type of tablecloth you want, the number you want and the customization you require, we strive to provide you with quality advertising tablecloths. Our tablecloth printing techniques are the best in the field. 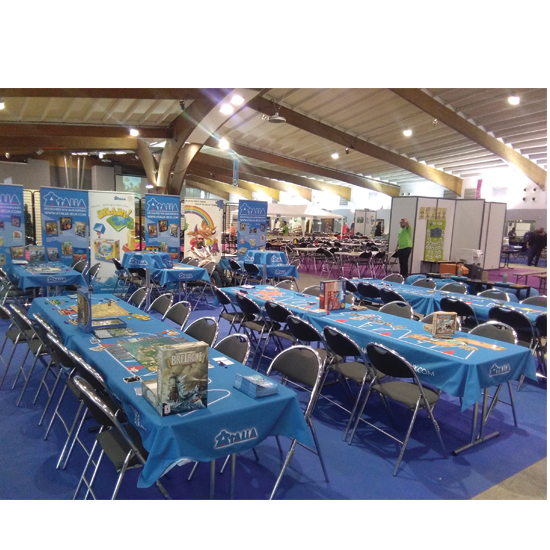 Concretely, we offer you the possibility of customizing your tablecloths so that your brand is visible in them. Have your company logo on it or order a print of your brand. We carry out these tasks with the utmost professionalism. Depending on the chosen material, we adapt the printing techniques. With each type of tablecloth, each has its own technique! The materials used and the inks also differ. 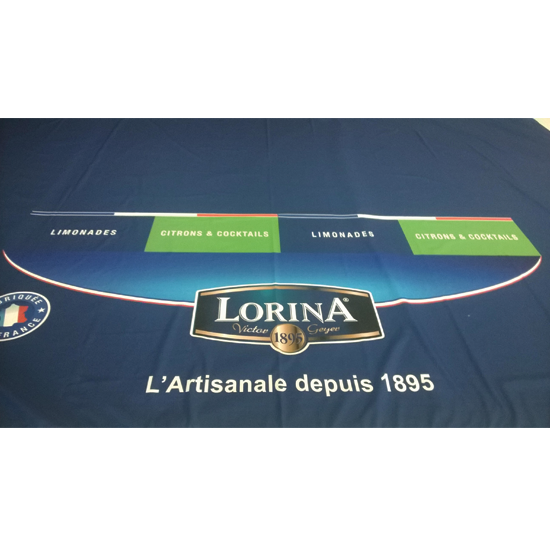 The sublimation ink technique is one of our many techniques for printing advertising tablecloths. It has the advantage of allowing the ink to penetrate well into materials such as fabric. This allows them to be easily washable. This impression can be done in four-color, pantone or both at the same time. Several techniques are therefore implemented according to the type of tablecloth that you order. You have the choice between the polyester tablecloth, the plastic tablecloth, the non-woven tablecloth and even the paper tablecloth which is quite trendy. Among the wide range of paper products we offer is the very trendy paper tablecloths. They are a very good alternative to cloth tablecloths. They can be used punctually for a special event, whatever it is, or for a much more spread over time. This is also the challenge of customizing the paper tablecloth. Choose paper tablecloths from us and request customization as you wish. Is it for a special event? 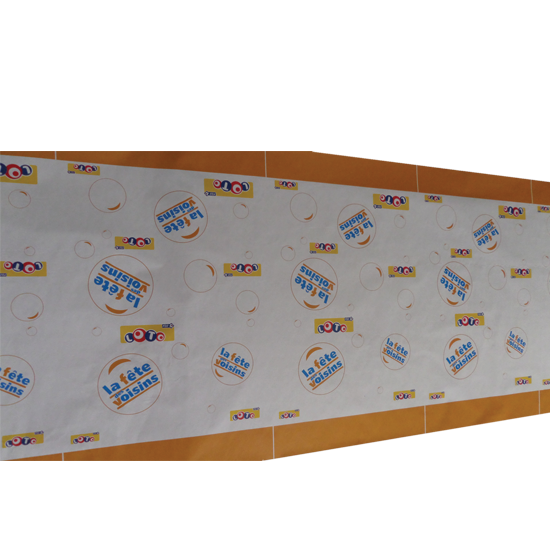 Send us the logo of the event and we take care, thanks to our techniques, to print it on the paper tablecloths. 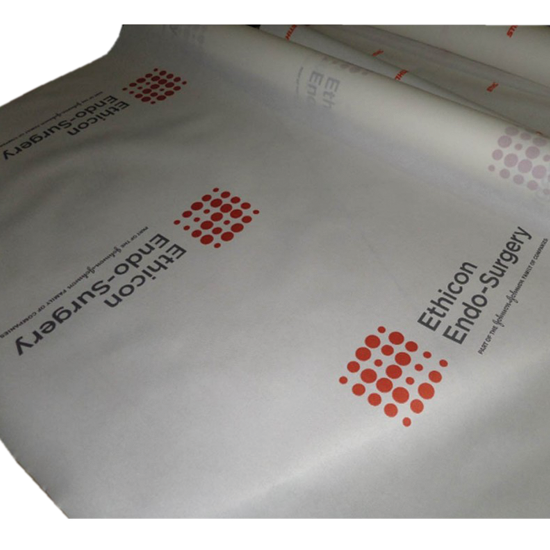 If it is for continuously purposes that you want custom paper tablecloths made, we also provide you with what you need. This impression is made from a color. Choose the one you want to use and we can do an intuitive repetition according to the pattern we would have agreed upon. It is an operation that is characterized by a very good price-quality ratio. In addition to paper tablecloths, other types of tablecloths exist and are just as customizable. The choice is widely available. Personalized sheets of LDPE plastic, 50 microns thick, are printed in four-color process colors. They are available in rolls of two widths: 80 and 100 cm. Minimum length for manufacture: 2,500 meters. Heliographic printing: the exact number of rolls is known at the end of production and can vary by +/- 10%. 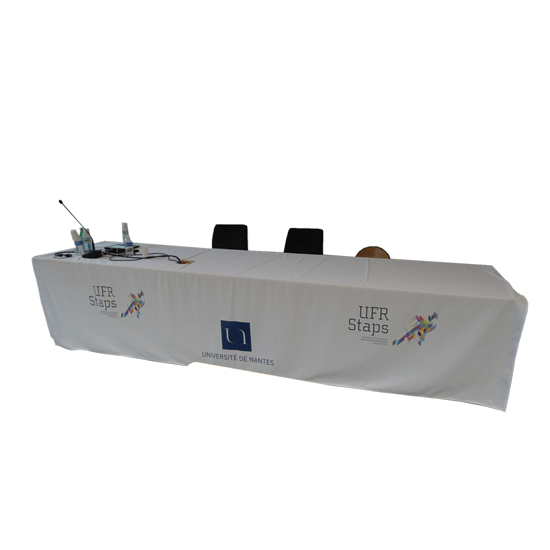 Polyester cloth tablecloths, thickness 205 grs / m2; are customizable from a single unit. Printing with four-color sublimation inks or pantone. Hems sewn as standard, flame retardant, very little wrinkle and machine washable at 30 °. Rectangle cut, round or shaped.